Laboratory Ball Mill offered by us, is designed for mixing and grinding purposes in industries such as cement industries, paints, etc. Our range of Laboratory Ball Mill is appreciated for its high performance and longer working life among the clients. 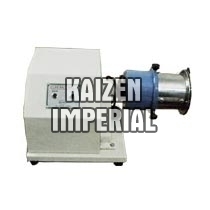 We offer Laboratory Ball Mill in different specification to cater the needs of the customers.